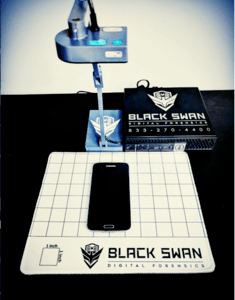 GII has partnered with Black Swan to now offer Digital Data Extraction Services for mobile phones and tablets. This exclusive service allows us to perform forensics operations and extract digital DNA from mobile phones and portable devices for clients to obtain evidence. We can extract all data from the device and provide you with a complete forensics analysis report within 24 hours. ​Unlike other phone extraction services, we can perform the forensic extraction right at our local office or travel onsite if needed. No need to ship off the phone and wait weeks for the results. 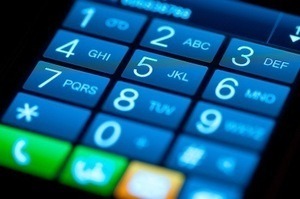 Also, the data will never leave the phone as it is securely extracted to an encrypted file for analysis and review. The extraction results are legally admissible evidence in court. ​You save money on shipping and manpower utilization, so extractions are half the cost of offsite services. Device Information: Device type, SN, Unique Identifier, OS version, last active time, and more. Plugins: Identifies all plugins installed. Summary of contents: provides a complete list of categorized content, such as calendar, call log, chat messages, contacts, SMS, MMS, web history, user accounts, and applications. Even deleted items! Detailed Call Log: See all incoming/outgoing calls by who and when. Detailed Chat/MMS/SMS Messages: See all incoming/outgoing chat messages including source and the message text. Detailed Installed Applications: View all applications installed on the device (even ones that are hidden like spyware). Images: View all photos on device, even those that have been deleted. Are you, a loved-one, or friend being stalked or harassed? Stalking is a very scary and personal attack on your well being. Not only can it affect you physically, but the mental and emotional damage can last a lifetime. With the evolution and simplicity of available technology in todays cyber world, you can be victimized as easy as opening a text message. 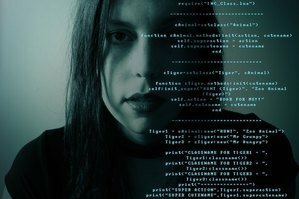 There are very inexpensive applications that are readily available for anyone to purchase, that will allow a person to turn your cell phone, mobile device, or smart device into a listening and/or tracking device. This technology will allow someone to know your every movement, and listen to your most intimate, personal, or business conversations. The experts at GII have partnered with one of the nations leading digital forensic companies, and we are now able to scan your phone, automobile, and/or mobile and smart device for any malicious spyware, tracking device, or unknown application that has compromised your life style. Our latest state of the art equipment can locate, identify, and remove these elements from your devices. We have the ability to perform this service at our local Vincennes location or bring our technology to you. DON’T ALLOW YOURSELF TO BECOME A VICTIM!! Call the experts at GII today for a free consultation.